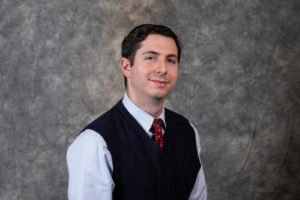 David J. Puglia, Ph.D., is Assistant Professor of English at Bronx Community College of the City University of New York, where he teaches courses in folklore and writing. He received his M.A. in Folk Studies from Western Kentucky University, under the supervision of Dr. Michael Ann Williams, and his Ph.D. in American Studies from Penn State Harrisburg, under the supervision of Dr. Simon J. Bronner. He is the author of three books: Tradition, Urban Identity, and the Baltimore “Hon”: The Folk in the City (2018), Maryland Legends: Folklore from the Old Line State (2014, with co-author Trevor J. Blank), and South Central Pennsylvania Legends and Lore (2012). His essays have appeared in the Folklore Historian, New Directions in Folklore, Contemporary Legend, Children’s Folklore Review, and the Oxford Handbook of Folklore and Folklife Studies. He is the past editor of the scholarly journal New Directions in Folklore and the past president of the Middle Atlantic Folklife Association. He currently serves on the Executive Council of the International Society for Contemporary Legend Research and the editorial boards of Voices: The Journal of New York Folklore, Supernatural Studies, and New Directions in Folklore.